Tido is not currently supported in this browser. Open or download Chrome, Firefox or Safari. Get access to Impromptu in C minor D899/Op. 90 No. 1 with Xiaofeng Wu and much more on your desktop browser, or download the iPad app. 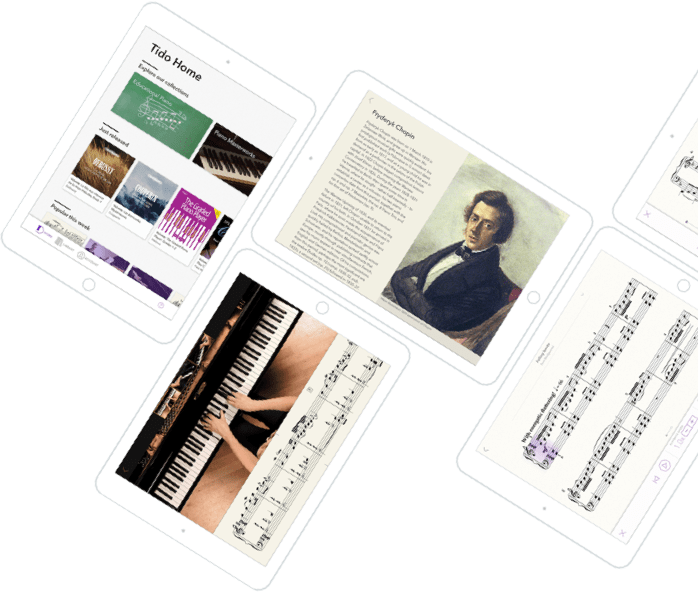 Tido Music is THE music learning app for pianists and singers of all abilities, available on iPad and on desktop browsers. Whether you’re a learner, a teacher, an amateur or an advanced performer, Tido Music will guide and inspire you. Try free for 30 days. Just US$ 4.99 per month subscription after that. No commitment – cancel anytime during your free trial and you won’t be charged. We’ll email you a reminder 3 days before your trial expires. Your subscription gives you access to both the iPad app and desktop website. Automatic page turning – the app listens to you play! Try Tido Music for free. Cancel anytime.